Planning to export? Don’t forget about your intellectual property! Some U.S. companies have found that foreign manufacturers have copied their products, packaging, and business plans, even though they had never done business abroad. Foreign counterfeiters can easily steal your product pictures, brochures and logos from your website, and apply for trademarks and patents in their country, if you have not registered them there already. For this reason, many U.S. small companies seek trademark and patent protection in large potential markets well in advance of actually exporting to those markets. As World Trade Month 2014 comes to a close, here are three things to remember about protecting your intellectual property (IP) as you embark on making sales internationally. Contact an IP Attaché. Located in U.S. Embassies and Consulates around the world, they can explain options for protecting IP rights overseas. 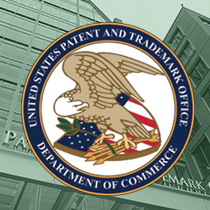 Take advantage of the Patent Cooperation Treaty (PCT). Under the PCT, an inventor, who has not publicly disclosed his invention, can file a single international patent application in one language to begin the process of seeking patent protection in up to 148 PCT member countries. The PCT gives applicants the flexibility of having more time to study the market to determine the countries in which a patent will be necessary. Similarly, the Madrid Protocol allows trademark owners to seek protection of their marks in multiple member countries by filing one international application with their home trademark office, in one language, with one set of fees, and in one currency. The owner designates the member countries in which they want trademark protection, and their application information is forwarded to each designated country to examine it according to their domestic trademark laws. Learn more about how the United States Patent and Trademark Office can help you safeguard your intellectual property overseas.